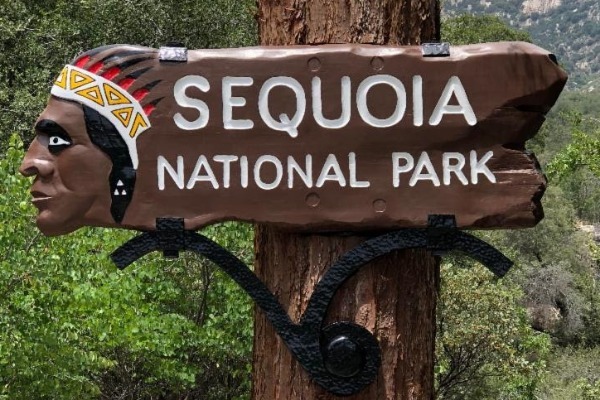 In honor of the start of National Parks Week and Jr. Ranger Day, the National Parks Service is waiving entrance fees at all national parks including Sequoia & Kings Canyon National Parks. This dramatic landscape testifies to nature's size, beauty, and diversity--huge mountains, rugged foothills, deep canyons, vast caverns, and the world's largest trees. Sequoia National Park & Kings Canyon National Park lie side by side in the southern Sierra Nevada east of the San Joaquin Valley. Weather varies a lot by season and elevation, which ranges from 1,370' to 14,494'.